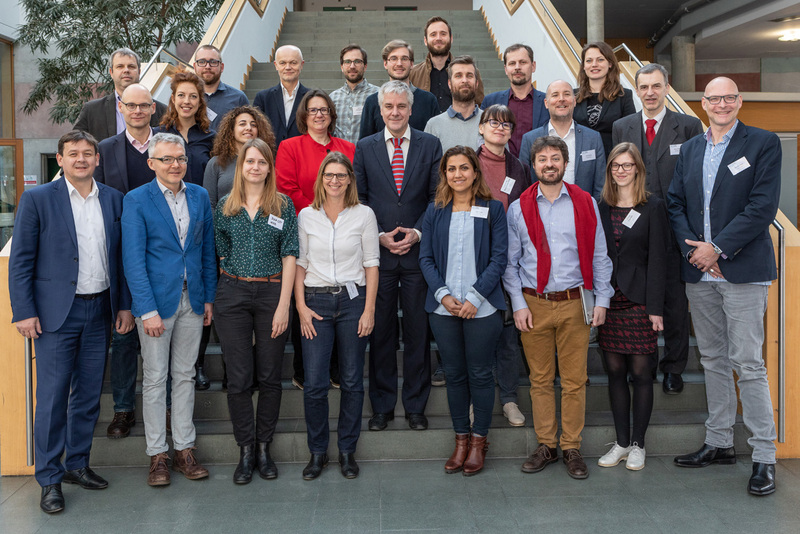 Following an invitation by Climate Alliance and the project coordinators at European University Viadrina, all SCORE partners gathered in March in Frankfurt (Oder) from 19 to 21 March for a two-day workshop on the development of action plans for the pilots. After a first year of selecting buildings, analysing investment conditions and preparing strategies to engage vulnerable consumers, the implementation phase of the SCORE project was successfully kicked off: The CSOP financing model was tailored to local circumstances and laws, so that the partners can fully secure all necessary investments. Furthermore, important milestones were identified for administrative tasks, the on-going involvement of consumers and the development of a PR strategy to further engage private consumers at the sites. Great emphasis was also placed on sharing experiences from the pilots and on facilitating a peer-to-peer learning process between them and potential follower cities. Thus, it was a special pleasure to also welcome at the workshop representatives from three potential follower cities: the province of Barcelona in Spain, the city of Essen and the island of Rügen in Germany expressed interest in exploring possibilities to replicate the CSOP model within their districts.